The new main entrance on the student side of the building is under construction and is set to unveil during second semester. 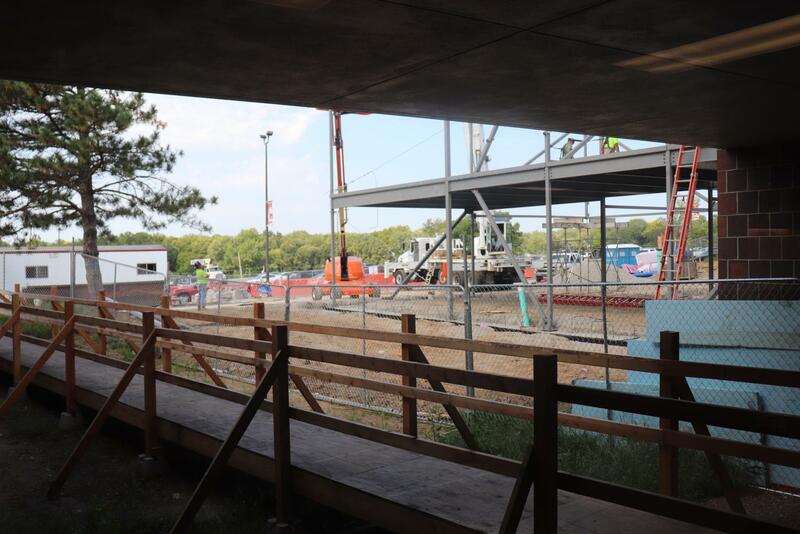 The construction is the result of a grant given to the NKC high schools for major renovations. The new entrance is expected to be finished before the end of the school year, but in the meantime, principal Eric Johnson will have to get used to his tiny new “office.” Photo by Makenzie Jackson.